Howard L. Felts, 88, a resident of T. or C., NM since 1987, passed away on Saturday, January 19, 2019. Howard was born to Millard H. and Ethel E. (Beye) Felts in Dodge City, Kansas on August 13, 1930. He was a graduate of Albuquerque High School. He worked his entire career with the Santa Fe Railroad, retiring in 1986. He was preceded in death by his wife, Patty, and sons – Ricki and James Felts. Survivors include his daughters - Janet Bredemeyer (Ronnie) of Waco, TX and Vicki Rutan (Dave) of Tulsa, OK; daughter-in-law, Gloria Felts of T. or C., NM; 9/grandchildren, 13/great-grandchildren, and 3/great-great-grandchildren. 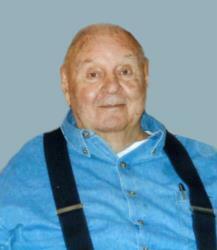 Howard enjoyed his family, golfing, hunting and fishing. But his true joy was family; being surrounded by his grandchildren and great-grandchildren; and enjoying a fresh baked pie for breakfast, lunch and dinner. Cremation has taken place and a Graveside Service will be held at Vista Memory Gardens Cemetery on Friday, January 25, 2019, at 11:30 A.M. with Pastor Bill Winkler officiating. Howard(my in-law Father)graduated from High School, and immediately started to work for Santa Fe Railroad! his Dad Millard already had him a job lined up!! But he/wife Pat(passed away in 2008) Son Jim passed away in 2016, and Son Ricki passed away in 2018) had to move to San Beradino, California. Where his first two Children(Vicki and Ricki were born. Then after he earned some seniority, he was able to transfer to El Paso, Texas!! Howard started out as an engineer driving a Steam Engine, later on a Diesel Engine, then was promoted to a Supervisor over the Shop repairs of the Diesel Engines(He was a Pioneer Of Railroad(37 years) So, and evolved with it!!) He learned by doing/ helping his crew to make the repairs!! And, he remembered almost everything that he had learned over his working years!! Howard Loved God, His Family and his friends!! Plus he was a World-Of-Knowledge And he is a Shining Example of A Christian/Father/Grand Father/Friend , and a Gentleman!! And, I as His In-Law Son, would learn something ''every time'' we(Janet and myself) visited with him! !Every Thanksgiving for the last almost 18 years!! I have been greatly blessed to have had ''Dad*Howard L. Felts in my life!! Rest-In-Peace Dad!! We well see you again some day!! In Jesus' Holy Name!! Mercy,You are going to be missed by your Family(me), And friends!! A Special Thanks goes to All of his friends in T Or C, New Mexico!! I lost my Dad at age 54, back in 1972, so I Always Looked Up To Howard to give/provide me with guidance! !